Among all Salesforce alternatives, ConvergeHub’s all-in-one CRM outshines other with its integrated Marketing Automation, Email Campaigns, Contact Management, Web Engagement, and Rich Analytics. Although in many modern business circles, mentioning CRM instantly brings Salesforce to mind. However, Salesforce is nor the only CRM in the market and neither it is always the best choice for your businesses.ConvergeHub offers efficient and powerful features for modern-day small and medium business entrepreneurs. For hands-on experience try ConvergeHub and find out why ConvergeHub is becoming the most popular Salesforce alternative that you can unfalteringly count on. Amongst all Salesforce alternatives, ConvergeHub pride itself for its unsurpassable marketing automation features in the CRM world. Moving ahead from traditional to cutting-edge technology ConvergeHub offers exhaustive features, to suit all the marketing needs of modern day small and medium businesses. Salesforce CRM does not create real-time campaigns like ConvergeHub, it needs to integrate 3rd party software (like MailChimp etc.) to send the emails. With Salesforce, you can just enter the data, whereas with ConvergeHub you can launch your campaigns with ease, without the need for any other 3rd party software integrations, which provides a better value for adopting ConvergeHub for your businesses. Our flagship features like multi-step campaigning, different campaign building tools, and automatic campaigning offer complete solution to campaign creation and campaign tracking needs. Hence, compared with ConvergeHub CRM, Salesforce offers limited and less powerful marketing automation capabilities. ConvergeHub facilitates advanced emailing which helps in assessing your email campaign’s performance and appeal. Moreover, Salesforce CRM does not provide you with predefined email campaign templates like ConvergeHub that can be easily added and modified as per your needs, for making your campaign creation procedure a breeze. Getting real-time notifications help to act on your leads when they are hot. ConvergeHub aids in viewing who has viewed your emails and who has not. Hence, ConvergeHub makes you become aware of key signals based on pre-set conditions. However, Salesforce offers email tracking only on its high-end enterprise versions, which most often becomes an expensive proposition to buy for small and medium businesses. ConvergeHub caters to both invoicing, and payment tracking capabilities. Moreover, we are constantly adding new and improved integrations for facilitating greater use of our CRM. ConvergeHub CRM makes your sales and marketing funnel work perfectly by dividing your database into suspect, prospects, and accounts. However, with Salesforce there is no prospect module, in their lead conversion list. 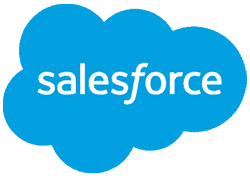 Moreover, Salesforce CRM is devoid of canned messages in its Knowledge Base, which can help account representatives reply to most asked questions, using pre-composed messages, which are kept recorded in the CRM database. ConvergeHub helps you to manage both small and large projects with the help of its Project Module, which can be only be availed at an additional price in Salesforce. ConvergeHub also helps users to custom sales processes along with automated reminders so that users can create a checklist of actions necessary for conversion, so that your leads do not fall through the crack and eventually become the purchaser of your products and services. However, this functionality is not available with the users of Salesforce.